#3 - Week 16 - 1/12/18 - Perelandra Ltd. The Perelandra garden is on a rock shelf with soil only 18 inches deep, so a deluge of rain could easily drown the plants. 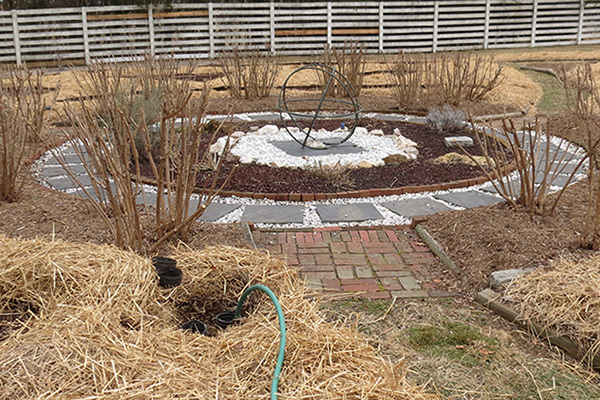 Machaelle and her partner, nature, designed a brilliant drainage system early on to move excess water out of the garden quickly. It starts under the center of the garden and moves outward. In the winter, we run water through the access pipes intentionally to check for any blockage, ensuring we are prepared for spring. 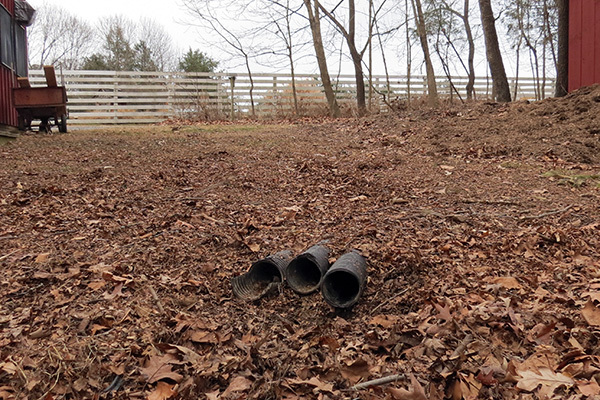 The system has been refined over time to extend the drainpipes out of the garden, under the driveway and into the woods.